Would you believe I made this wooden farmhouse table runner from scraps of wood? 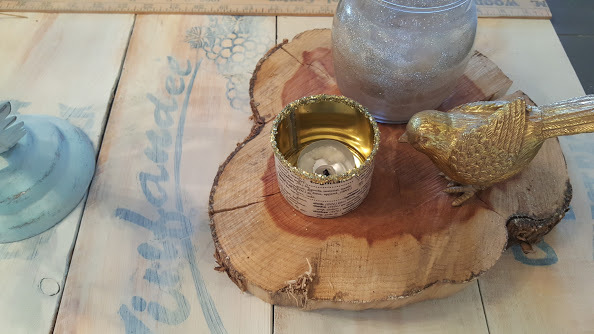 Yes, I was challenged by my friends to create something out of scraps and this wooden table runner is now the shining star of my rustic table setting. 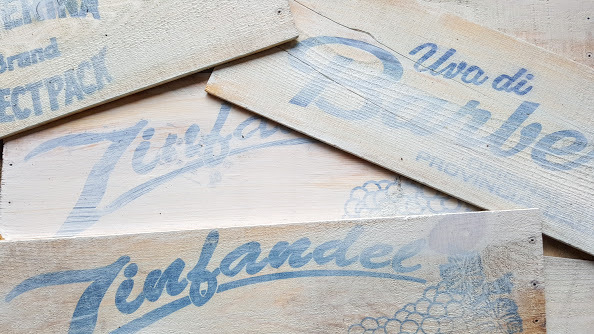 Somewhere along the way, during one of my many flea market trips, I found these wood pieces that were originally the ends of wine crates. I really liked the typography and graphics on each piece and my first thought was to stain them and line the inside of a shelf with the repurposed wood. Regardless, I liked them and paid $3 for a pile of scrap wood. I never got around to staining them for that bookshelf project and they sat in my garage for a year. 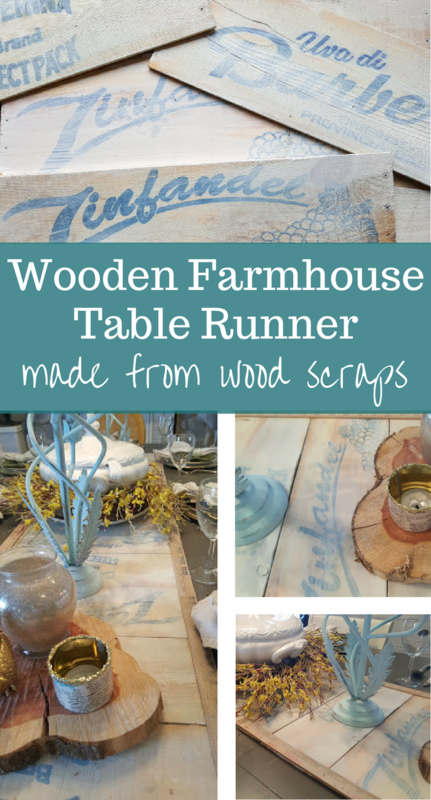 When the “build something with scraps challenge” was thrown down I knew exactly what scraps I was going to use for my project and making them into a table runner would add some farmhouse texture to my dining room table. Instead of staining them I opted to use some white homemade chalky paint and watered it down to do a quick white wash finish on the wood scraps. Then I was asking my husband for ideas on how I could attach the boards together to make a wooden farmhouse table runner. After some brainstorming it dawned on me that the left over yardsticks from my picture frame project were the right width and thickness not to mention the perfect way to add another layer of character and charm to the table runner. I gave 4 yardsticks a quick coat of the chalky paint white wash and then my husband got busy with his staple gun and started assembling the table runner. When it was all done the table runner measured 66 inches long and 18 inches wide. 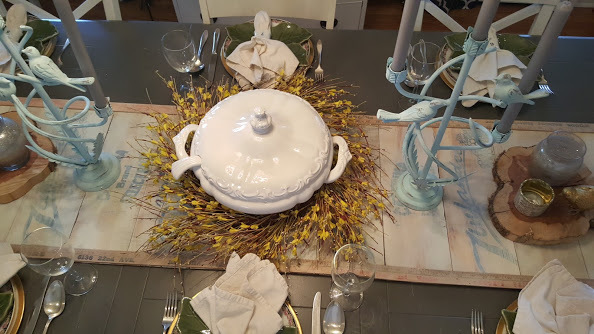 It really is a great starting point to add more layers to creating a fun centerpiece for my dinning room table. 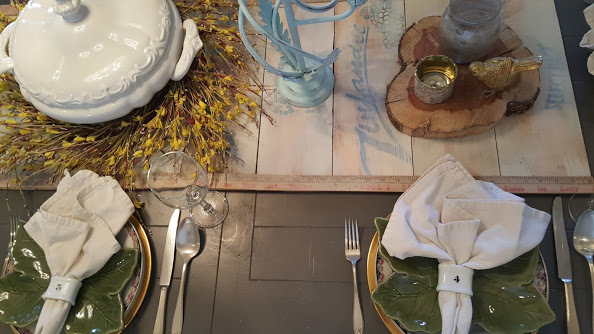 Now you have the full story on how I added all of those layers to my rustic and simple table setting. 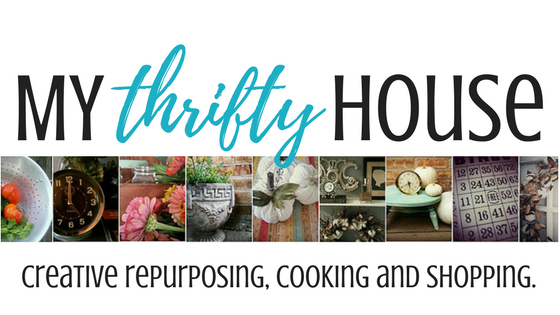 Hop on over and visit my blogging friends to see what they built with their scraps. 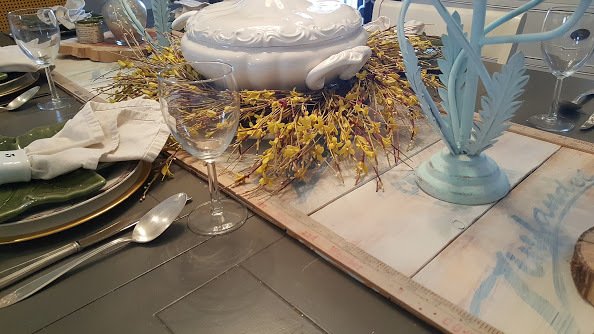 I promise you my wooden farmhouse table runner is just the tip of the iceberg when it comes to the creativity these ladies bring the the table. The rules are simply that the project has to fit the challenge theme, which will be something different to inspire you each month! Got scraps? We do! See what we did with them! 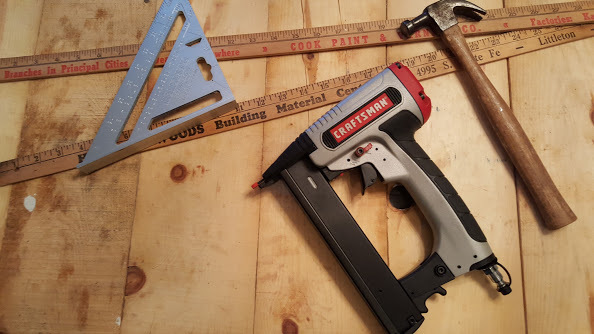 This entry was posted in DIY Projects, Me and My Tribe and tagged DIY. Girl, this is an awesome usage of wood scraps. I love that you chose not to stain them and used paint instead. It has a lovely soft and faded look. Amazing. What a cool faded farmhouse look. I love that you used the yardsticks, it’s perfect! Denise this is amazing! I love those crate ends and those rulers framing it out were genius. Way to go! Absolutely love this project! Love how you used the rulers along the side! Great idea!! I love it. I LOVE IT, I SAY!!!! Yup, I’ve gotta have one for my table now. I will add it to the list. 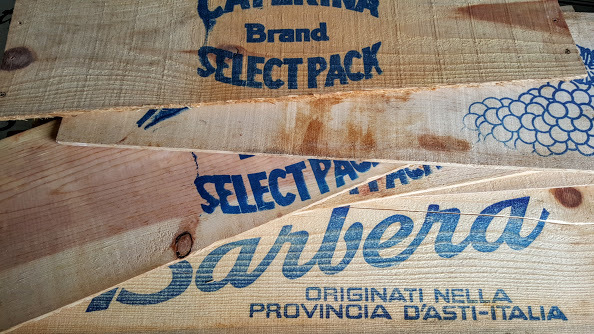 You scored with those boards, and I think you made the right pick by not staining them. The white wash makes them look vintage. It looks great on your table. This looks amazing! I love it! I wonder where I could find some awesome wine crate ends like this so I could copy it?! Will keep my eyes peeled! This is so very creative! I’ve never seen a table runner made out of wood before! <3 it! Thank you. It is a great conversation piece too. Denise, this is awesome! What a creative idea!